On the eve of the four year anniversary of the brutal bombings that took place on 7 July 2005 taking the lives of 52 innocent Londoners, the capital is silent, its media are neutered, the radio waves are quiet. Did this atrocity even take place? Why are we not talking about the biggest attack on London’s security in recent memory? The BBC ran a documentary on the “conspiracy” behind 7/7 trying to discredit the many theories that are being advocated that the British government may have been involved in the attacks, that Mossad was aware and therefore was able to move Netanyahu and other dignitaries away to safe areas at the time in London. What is being forgotten here is the crux of the entire build up to the terrorist attacks and the aftermath. Firstly why did 4 British born Muslims believe it justified to carry bombs on trains, buses and the underground and attack the very citizens of the country they were born in? Why did the intelligence apparatus of this country not monitor, as we have been made aware, known individuals with the potential and knowledge to carry out these attacks? The argument that no one and no system can ever stop someone who is determined to cause murder is valid, but the collating of the right knowledge and training for these types of attacks had been monitored. The aftermath? We have a muzzled response to the 7/7 attacks, the conspiracy is the way in which London is either afraid or knows too well the consequences of speaking out on these attacks. It has been known that the state broadcaster the BBC is censoring debate on the 7/7 in case it “creates Islamaphobia”. The security services are all too aware of the potential for extreme right wing group working extreme Islamic groups in the uK to create an atmosphere of fear and division. Moreover the capital has failed the memory of the 52 innocent people murdered on 7 July 2005. “We will never forget the tragic events that took place in this great city on the 7th July 2005. This memorial echoes the steely determination shown by Londoners in the days following the bombings. Should there be a public inquiry into the 7 7 bombings in London? As a monument to the victims was unveiled in Hyde Park on the fourth anniversary of the London bombings, MPs said the Tube remains “extremely vulnerable” to attack and warned against complacency. The inquiry will re-examine what security services knew before 7/7, what should have been done and the Government’s response — including the emergency Cobra committee. The ISC said it was “understandable and reasonable” that the terrorists had not been detected before the attacks, in which 52 people were murdered by four suicide bombers. But survivors and victims’ relatives dismissed it as “a complete whitewash”. Members of the security and intelligence services may be more guarded with MPs on the home affairs committee. So while the inquiry will be more wide-ranging, it may have more difficulty obtaining information. Another focus of the inquiry will be the Cobra committee after Andy Hayman, the former head of Scotland Yard’s counter-terrorism operations, recently described it as “a nonsensical system”. Mr Hayman was at Cobra meetings during the London bombings. Mr Mercer chaired a home affairs sub-committee whose report on the Government’s Contest counter-terrorism strategy was published today. While praising the Office for Security and Counter-Terrorism, the committee issued warnings over measures to protect the Tube and the 2012 Olympics in London. Prince Charles was today due to officially unveil the memorial in Hyde Park to the victims of 7 July bombings. The £1million London Bombing Memorial is made up of 52 stainless steel pillars, each representing one of the victims. Survivors and victims’ relatives of the July 7 London bombings today branded an official inquiry into the terror attacks “a complete whitewash”. Today’s report – the most detailed yet into the suicide bombings – cleared MI5 and police of blame despite new evidence showing the extent of their prior knowledge of the terrorists. The report by the Parliament Intelligence and Security Committee (ISC) published today said that it was “understandable and reasonable” that the bombers had not been detected and that the judgments made by the security service before July 2005 could not be criticised. 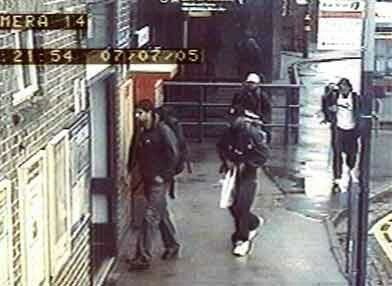 The conclusion came despite the revelation that the ringleader of the 7/7 attacks, Mohammed Sidique Khan, and another of the bombers Shezhad Tanweer had been repeatedly observed by officers while meeting other known terrorists more than a year before the London bombings. The ISC report highlighted severe shortages in personnel that led to possible terror suspects never being investigated or put under surveillance. In 2004 MI5 failed to monitor 54 “essential” targets. The committee concluded that resources were so stretched agents could not even assess whether “desirable” targets should be examined in more detail unless they were known to be plotting an attack. But the relatives of victims reacted angrily to the ISC’s conclusion. They said it was proof an independent, public inquiry was now needed into the attacks on the Underground and a bus in which 52 people were murdered by four suicide bombers. John Falding, whose partner Anat Rosenberg, 29, died on the Number 30 bus, said: “These findings are very disappointing. It has not really taken us much further than the ISC’s previous report three years ago. It was painful reading then and it is clearly painful reading now. To know they came so close to catching the terrorists is hard to take. Clifford Tibber, a lawyer representing 25 victims’ families and survivors, said: “All they have done is gone back and asked the same questions as they did in the previous failed report and got slightly different answers and reached precisely the same conclusions. Today’s report lists four separate meetings attended by Khan, Tanweer and other known terrorists and also gives details of how M15 twice followed Khan’s car back to addresses in Leeds. It also revealed how two phone numbers linked Khan to another plot to blow up the Bluewater shopping centre and Ministry of Sound nightclub. In a further disclosure today’s report also reveals that a photograph of Khan was taken in 2001 when he attended an outdoor camp with other terror suspects. Despite this, however, MI5 failed to identify Khan or Tanweer – both of whom were judged to be potential “facilitators” involved in low-level financial fraud rather than active attack planning – until after the 7 July bombings had occurred. It states that MI5 and police were right to focus on other higher priority terror suspects, and insists that given what was known at the time there was nothing to indicate that any of the 7/7 bombers presented a threat to the UK before carrying out their deadly mission. The report adds that MI5 would need an unachievable “several hundred thousand officers” to provide comprehensive intelligence coverage. It currently employs 3,500. The report – which is based on evidence submitted in private by MI5, police and others – was ordered in response to evidence that emerged during the trial of the Bluewater plotters and other recent terror prosecutions and set out in detail all that was known about the links between Khan and Tanweer and other terror suspects.